The holiday season is a time of joyous celebrations filled with food, friends, and presents for millions — but not so for many Native Americans. 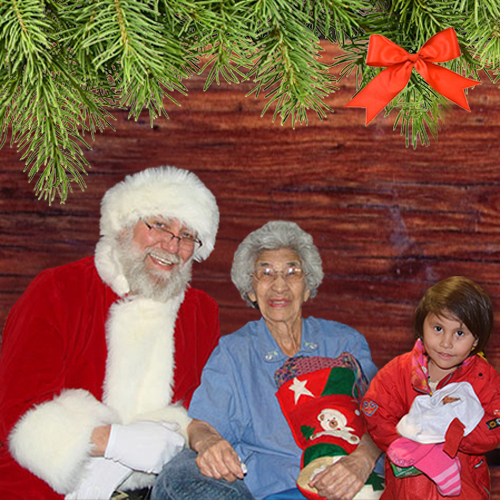 Remembering Native American children and Elders this holiday season will have a lasting impact that goes far beyond the holidays… just as your support throughout the year touches the lives of so many time and time again. So many look to us all year to lessen the hardships and improve quality of life on the reservations, and they are counting on us to do the same for the holidays. The most important thing we provide is hope. It’s important that Native Americans be remembered, along with the rest of America. Please consider giving a gift to help spread Holiday cheer and distribute needed items such as Christmas stockings, winter fuel, and food. Once you've made your purchase, you'll be given the option of sending a Holiday eCard to loved ones to let them know a lasting gift has been made in their honor. The Elderly Nutrition Centers (ENCs) are important places for many reservation Elders. They are able to receive a hot noon meal at the centers and socialize with others, which is so important. $30 helps provide about 120 servings. The food provided helps the center to continue offering nutrition meals in good sized servings throughout the month. They are more likely to provide fresh food, since hopefully, they will have some funds available to purchase fresh meat, dairy products and produce for the Elders.